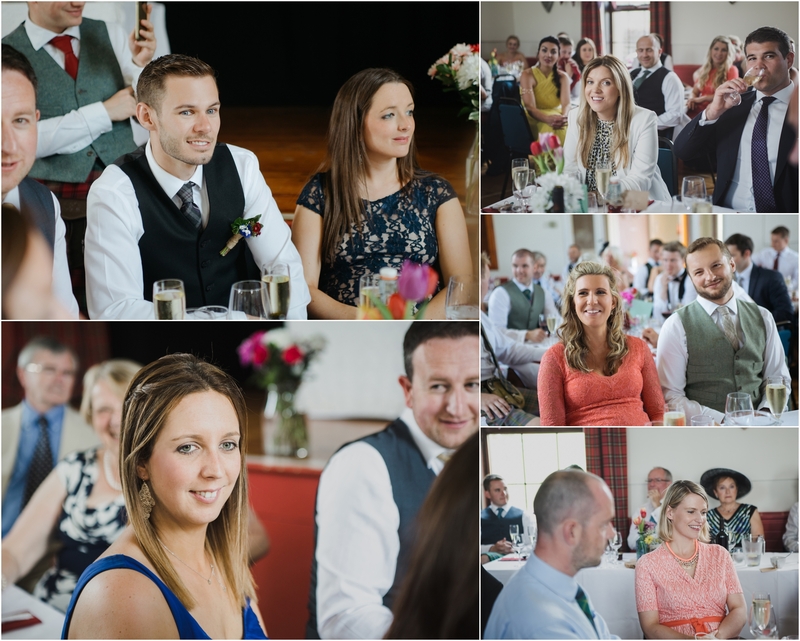 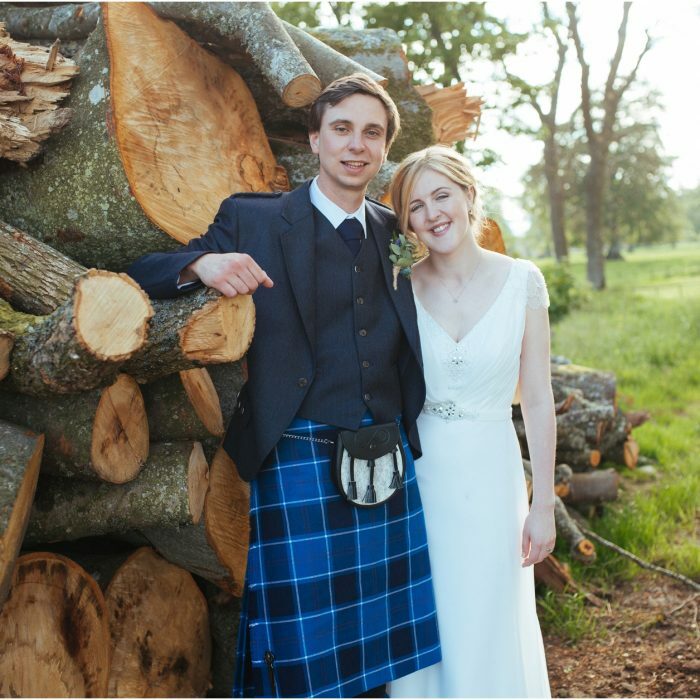 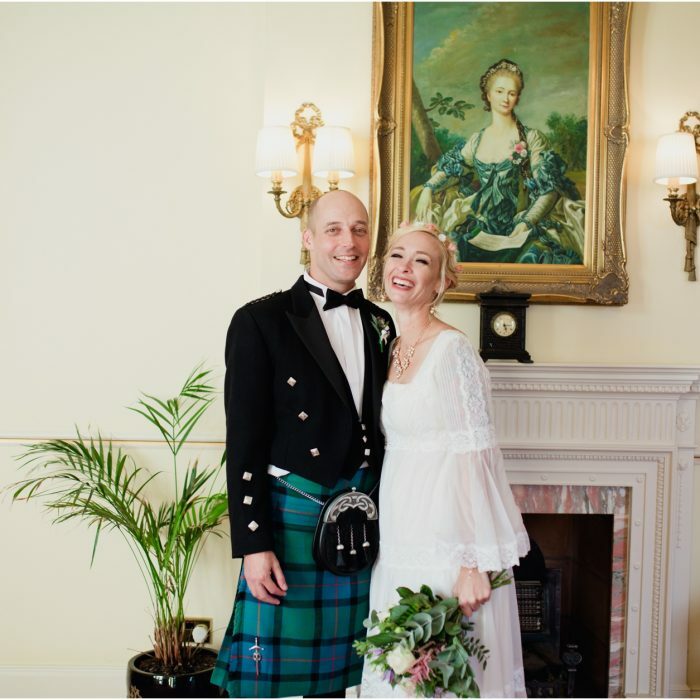 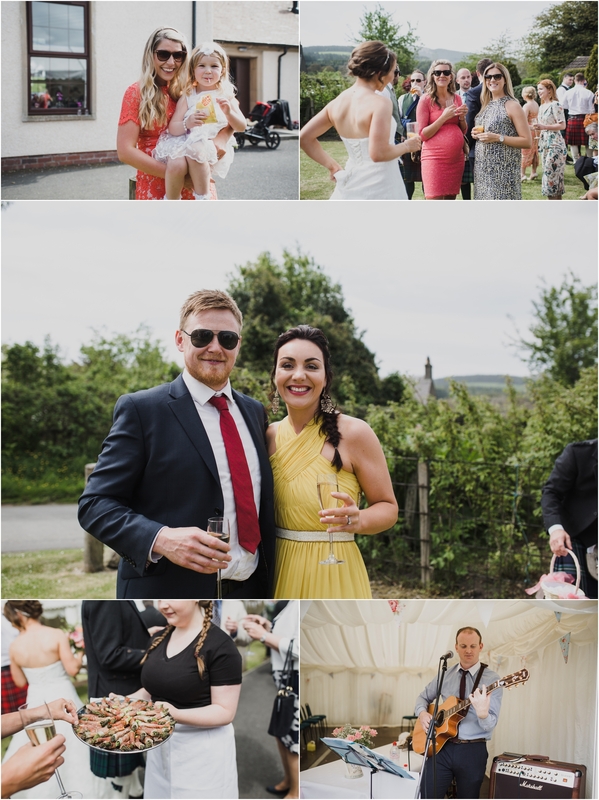 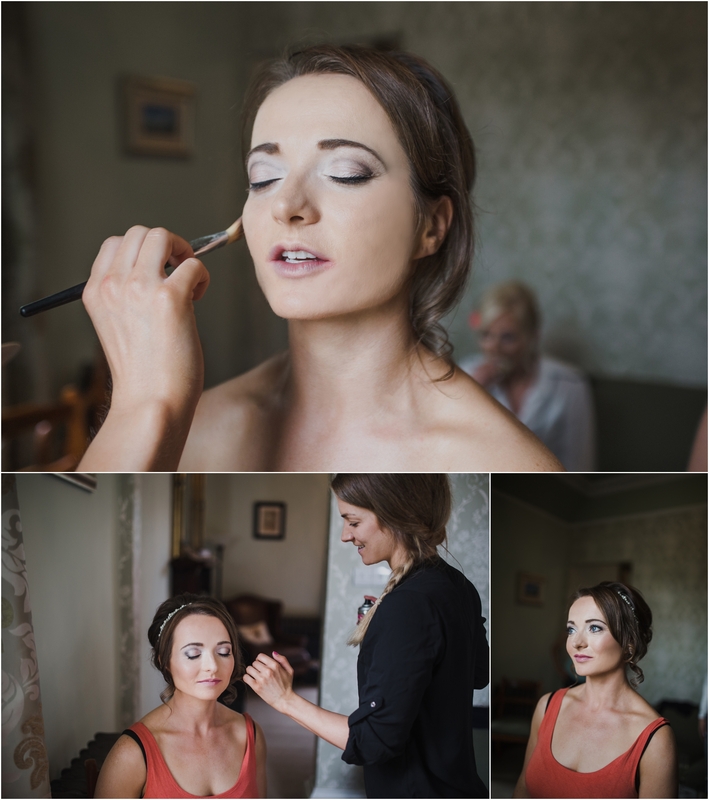 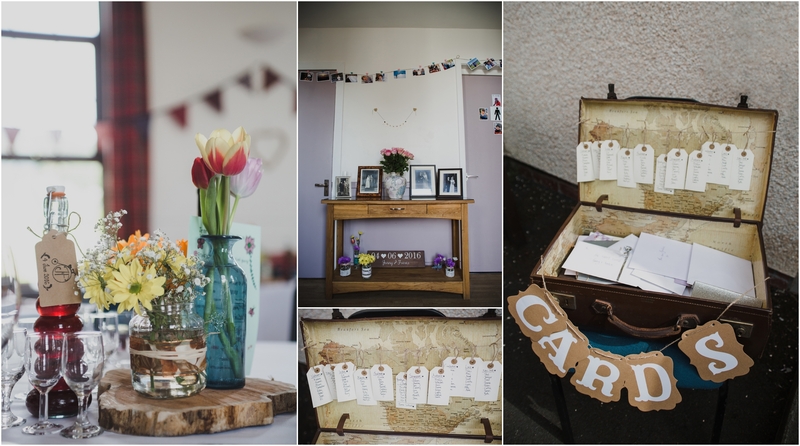 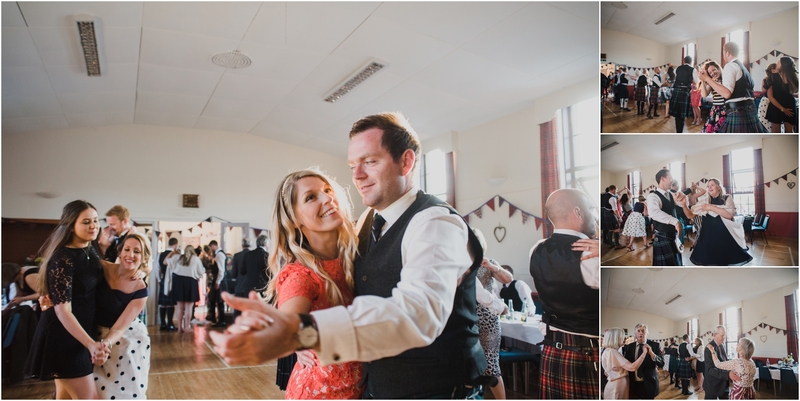 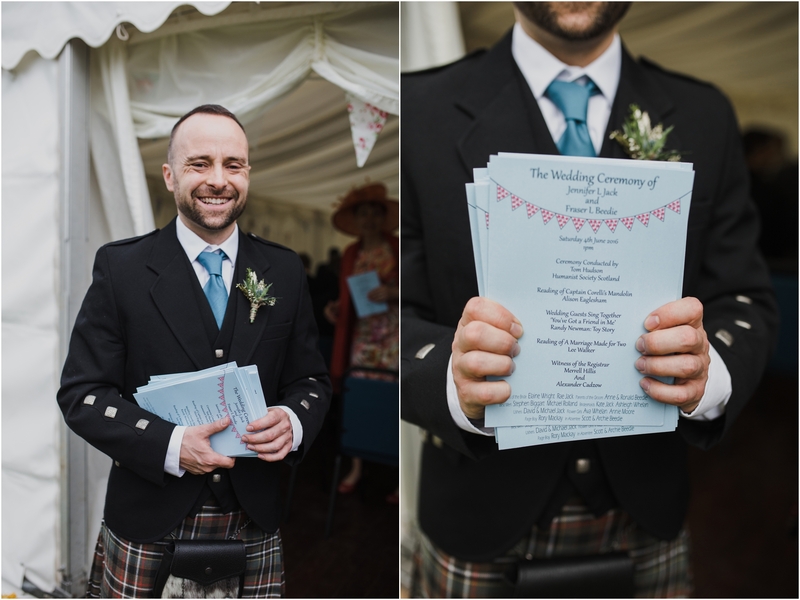 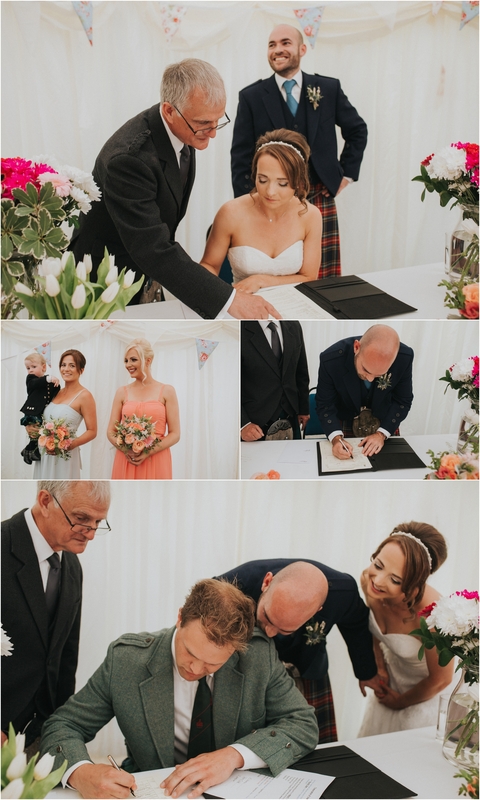 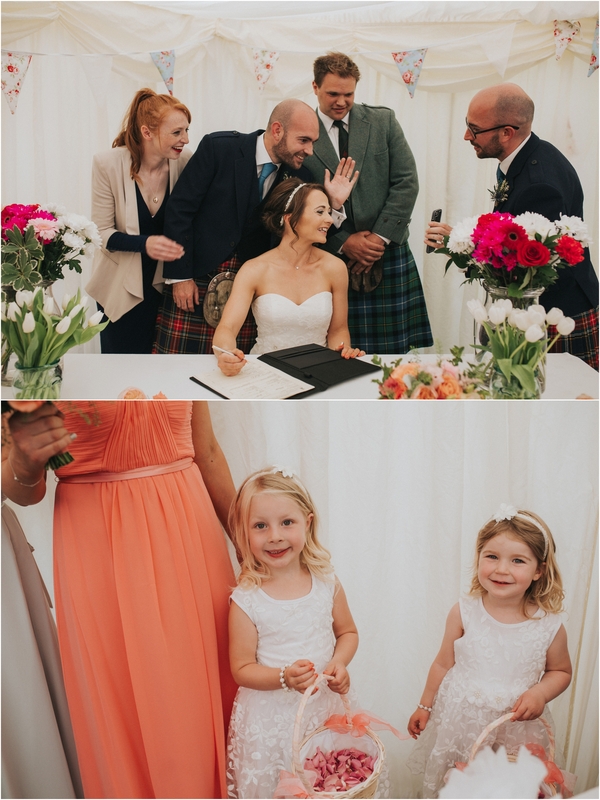 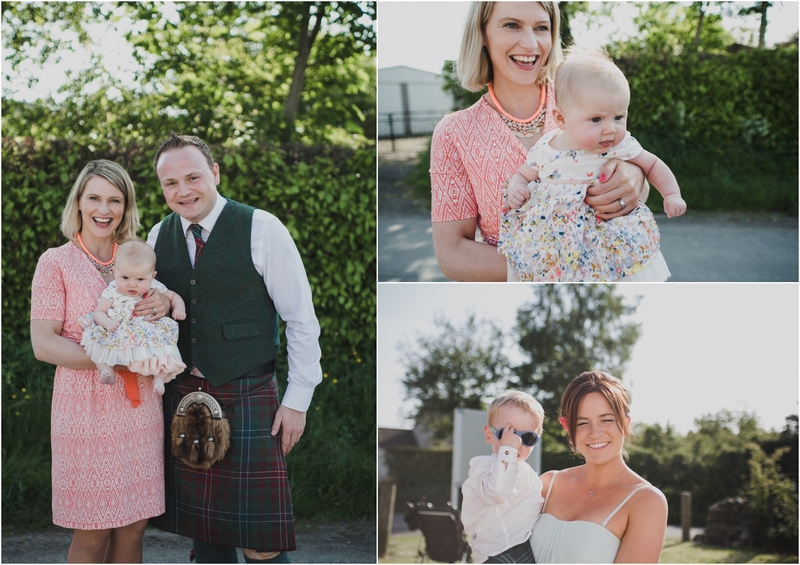 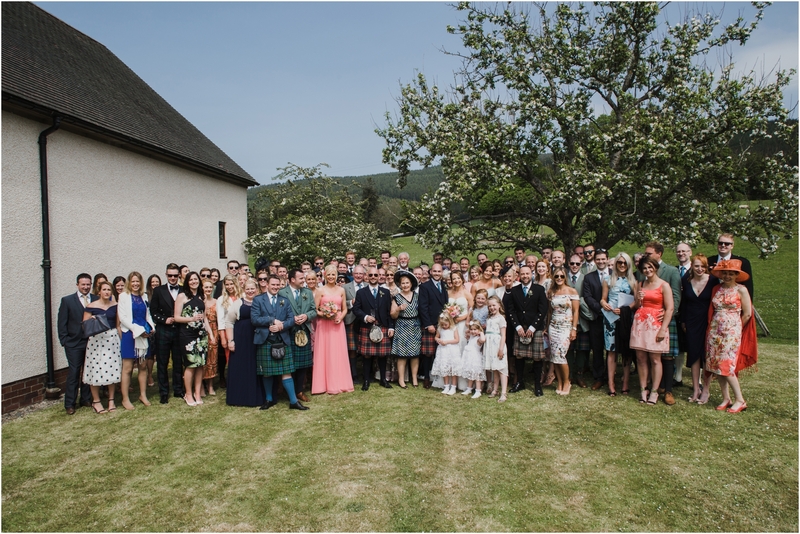 The gorgeous Jenny and Fraser got married at Traquair Village Hall in the Scottish Borders at the beginning of June close to where Jenny grew up. 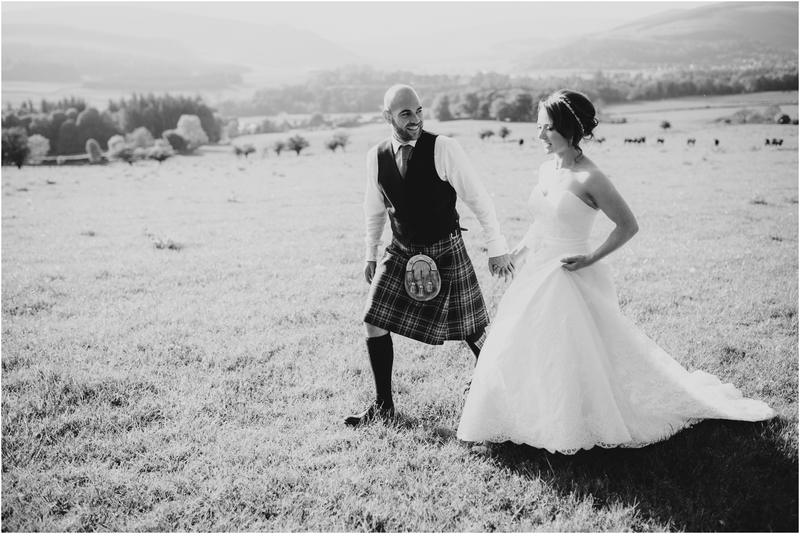 They travelled from Canada where they were working at the time and were greeted to the most gorgeous spell of weather we have had so far this summer, I’m sat here typing this after a spell of typical Scottish rainy weather and wishing that time could take me back to their gorgeous wedding day. 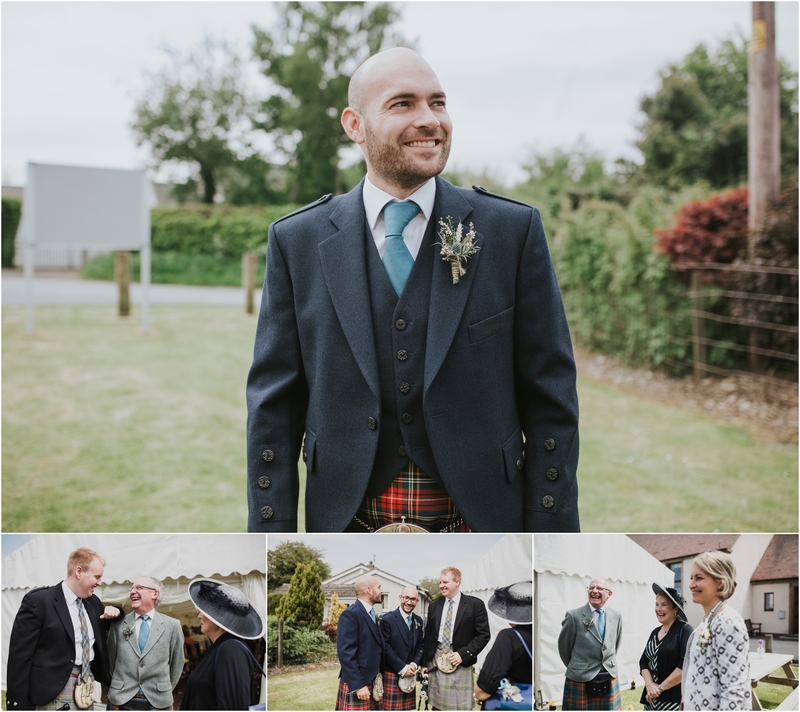 The day got off to an eventful start with the best man Steve saving the life of an elderly man involved in a car crash they were not far behind on the road between Peebles and the venue. 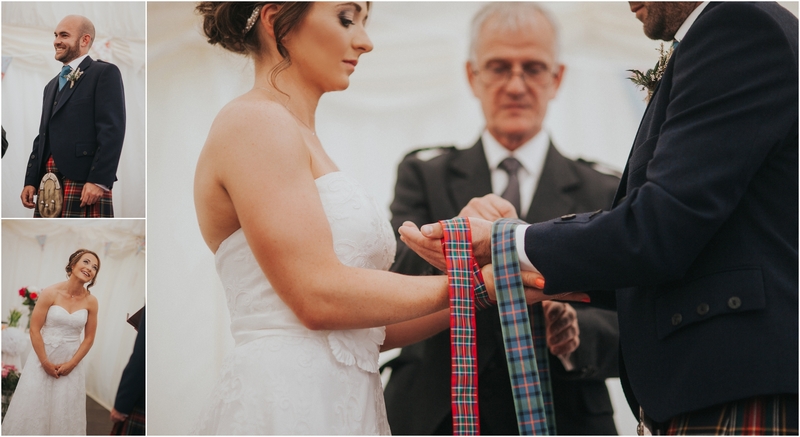 They had a Humanist ceremony in a Marquee beside the hall. 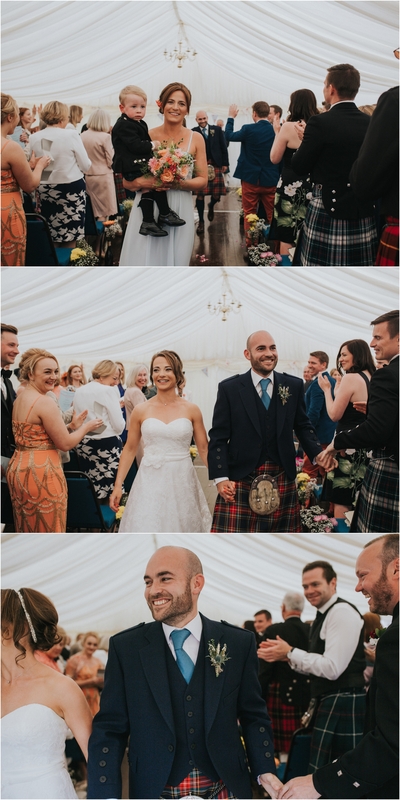 I loved the sing along of “You’ve got a friend in me” from Toy Story during their emotional ceremony. 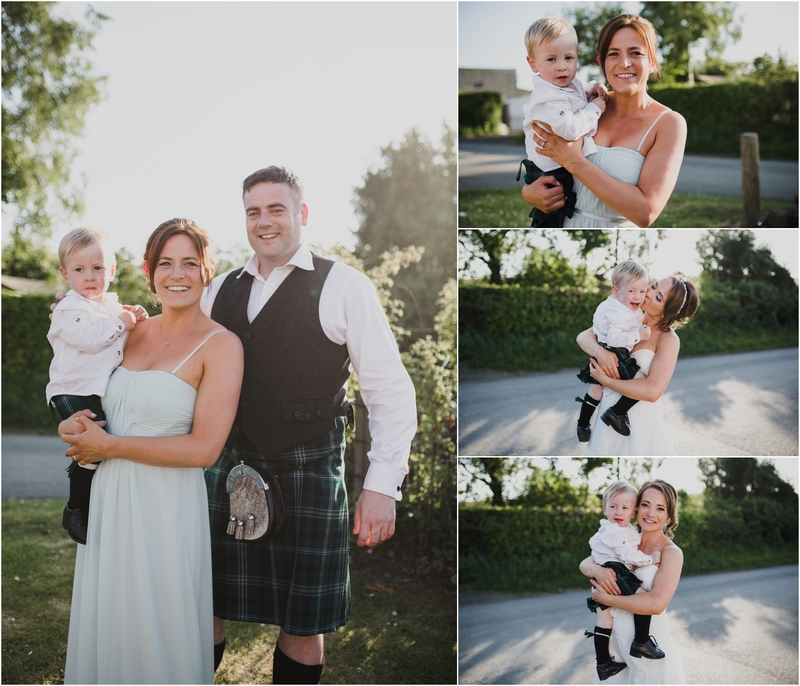 As the sun had come out for them we had some perfectly glorious evening light. 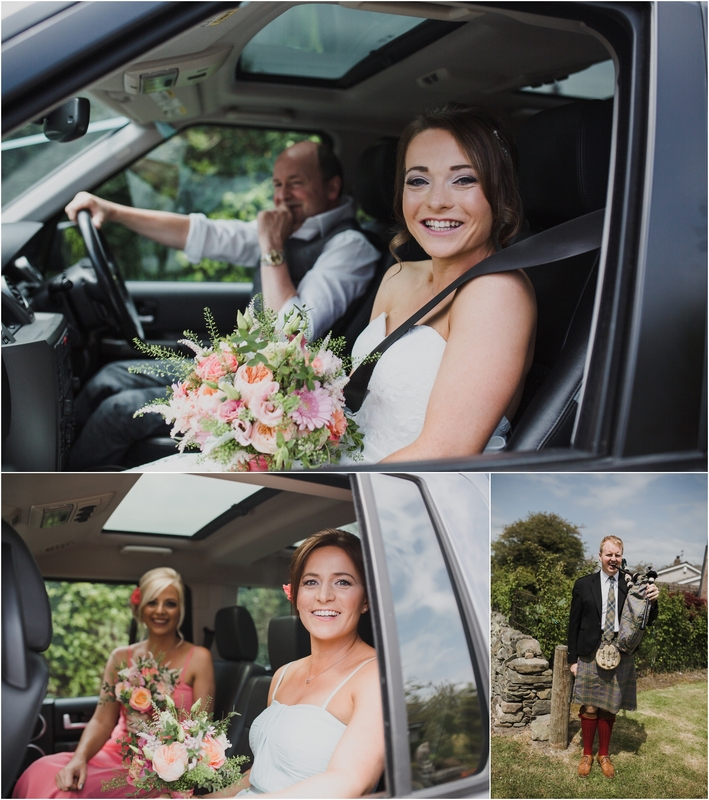 I took my mini up a country track to the woods and the top of a field with lots of cows and sheep for their couple shoot. 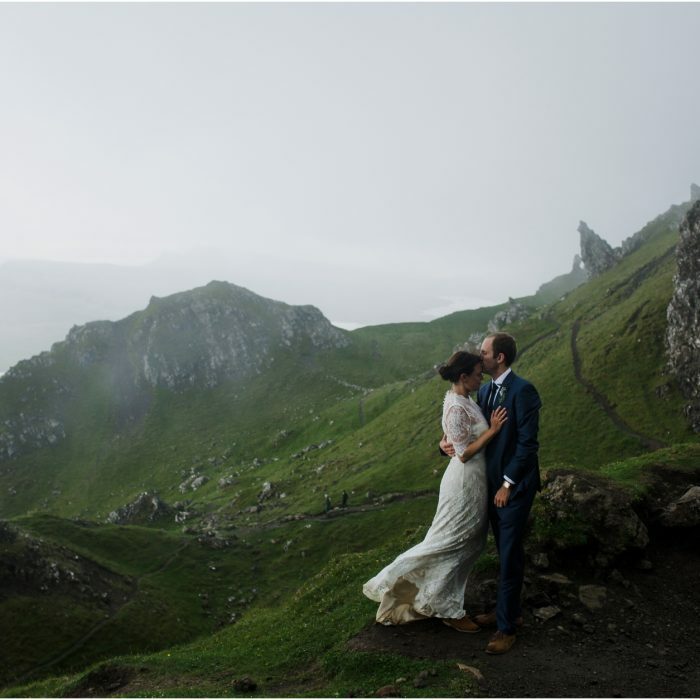 I was totally blown away by the stunning views. 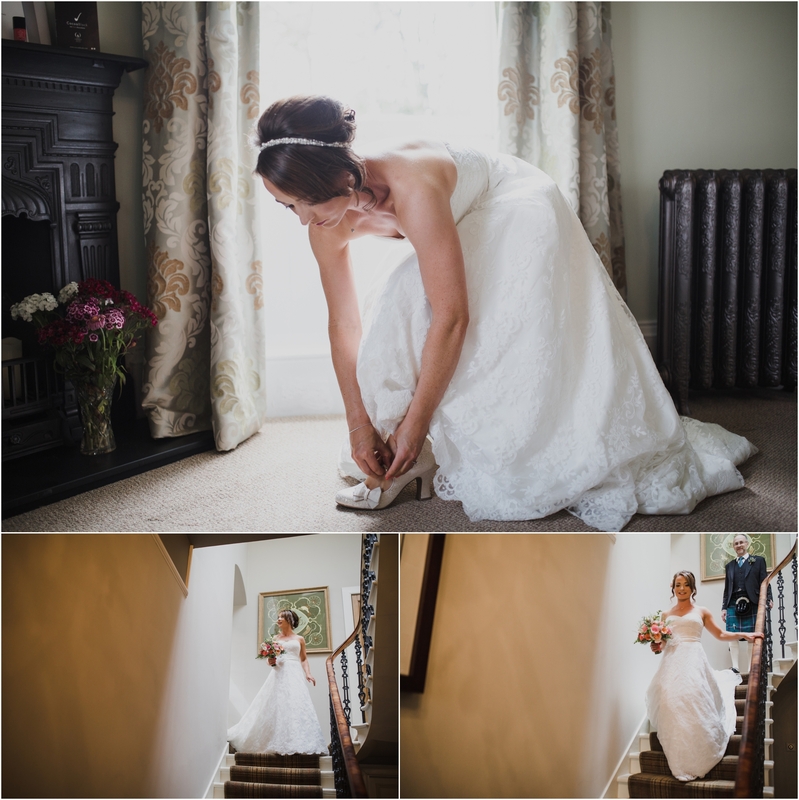 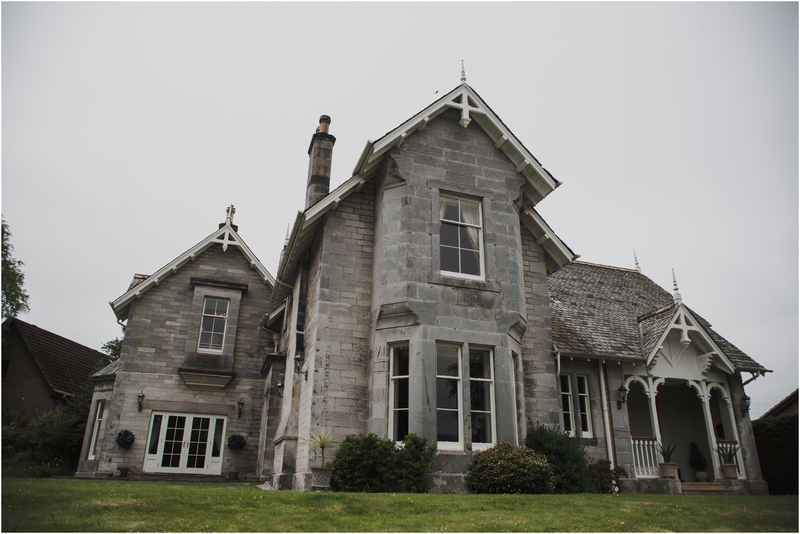 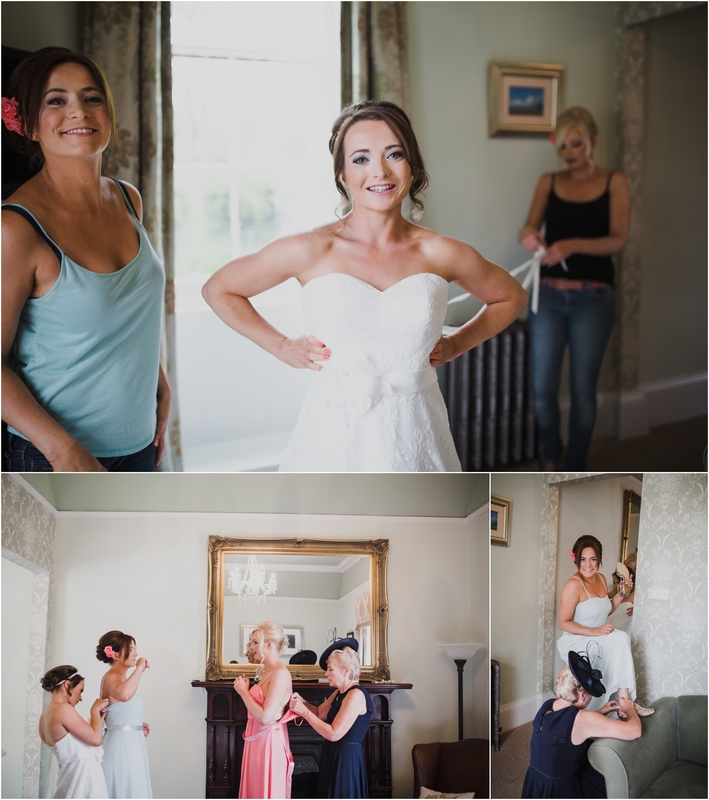 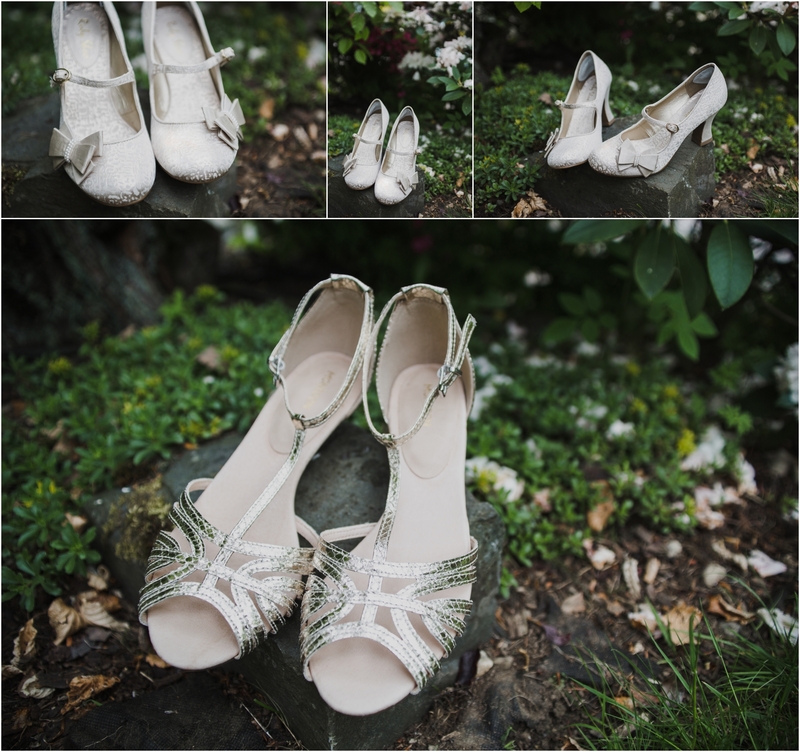 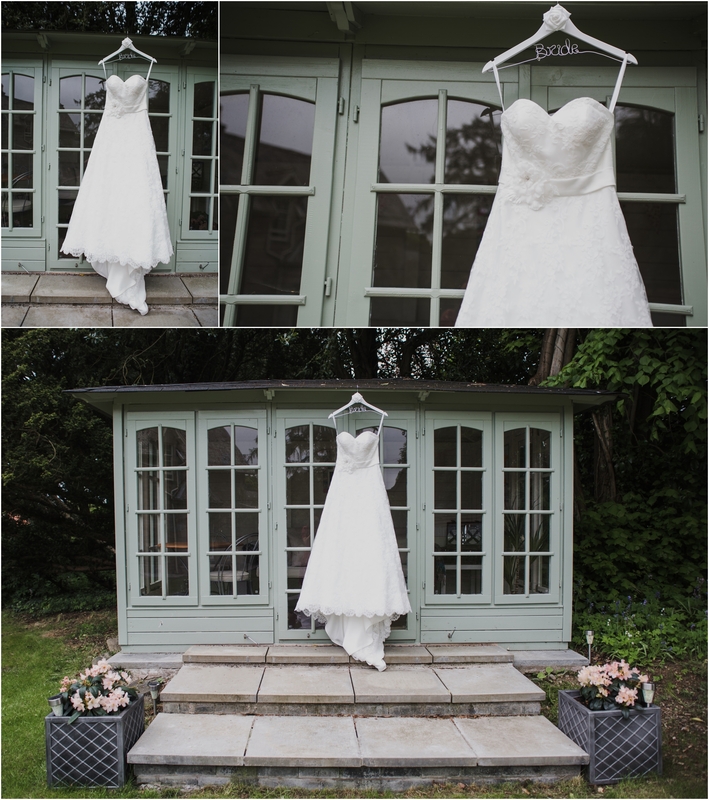 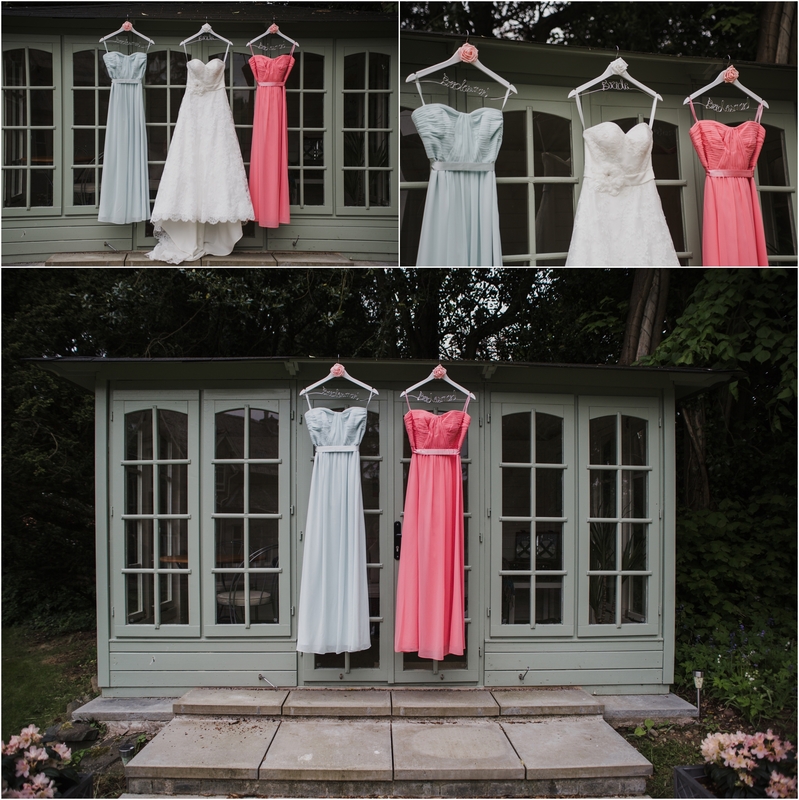 Jenny & Fraser – Thank you again for having me as your photographer on your picture perfect wedding day. 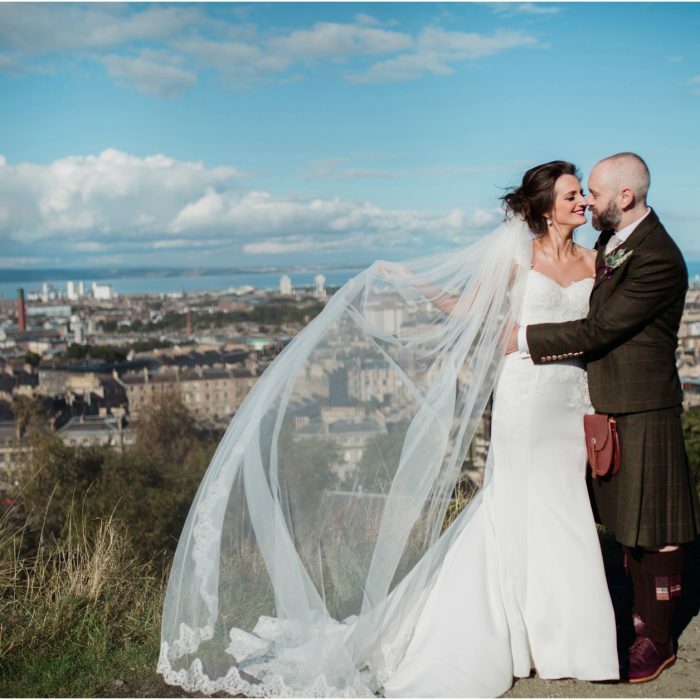 Wishing you all the best and lots of fun, laughter and adventure for your forever together.